At the time of the last Conclave, I was teaching RE (among other things) in a Catholic school. With all the media interest, and the sheer novelty of the event for most people, I was determined to make sure that I got my facts straight. I had great fun discussing the whole process with each of my classes, and I was almost disappointed when things finished so quickly! Now, I don't for one instant claim that this makes me an expert. But it does give me a good general grasp on how the whole setup is supposed to work. Which is why I found this little piece in Vatican Insider so very odd. 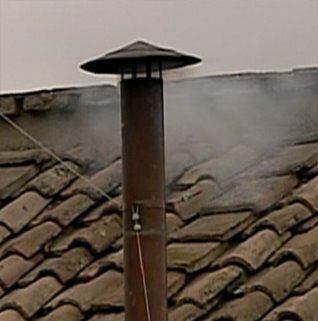 So why on earth are they suggesting that some Cardinals might tweet from the Conclave? I can understand that PaddyPower has allowed bets that a Cardinal will tweet (currently 8/1 odds), but then they are allowing people to put money on Richard Dawkins for Pope. But I did expect Catholic sources to be better informed. "...We promise and swear to observe with the greatest fidelity and with all persons, clerical or lay, secrecy regarding everything that in any way relates to the election of the Roman Pontiff and regarding what occurs in the place of the election, directly or indirectly related to the results of the voting; we promise and swear not to break this secret in any way, either during or after the election of the new Pontiff, unless explicit authorisation is granted by the same Pontiff." 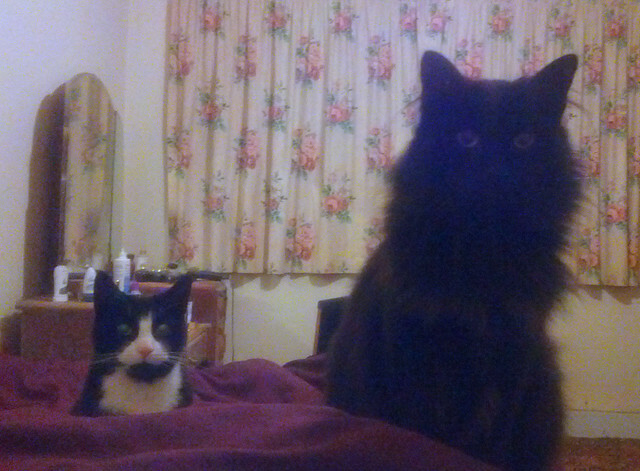 Ever get the feeling you're being watched...? Reflecting on the passing of time and the impending abdication of the Holy Father, it occurred to me that the upcoming Conclave will be my fourth. Admittedly, two of them occurred before I became Catholic. But I have vivid memories of my father (a lapsed Catholic) being very interested in the election of John Paul I, and then, soon after, sitting with him and watching the white smoke from the Sistine Chapel on television as John Paul II was voted in. I didn't understand the significance at the time, and was only vaguely aware that my father was a Catholic, but I did know that he thought it was important. I've posted before on my experience of the last Conclave. I had remarked, more in jest than anything else, that it would be wonderful if Cardinal Ratzinger was elected; I was told that this was not even remotely likely, but that he would be very influential in determining John Paul II's successor. That was as far as speculation on my part went. I didn't really know of any other Cardinals, except for Cardinal Cormac Murphy-O'Connor. The Catholic blogosphere wasn't as extensive as it is now, and, though the mainstream media bias against Catholicism was less widely acknowledged, I distrusted it as a source of reliable information on the Church, and had already given up my television. There wasn't really any time to consider who was papabile. It seemed to be in poor taste to speculate during the Pope's final illness, and once he had died, there was the period of mourning: speculation then as to possible successors seemed to be in equally poor taste. This time, of course, there is no death, and no period of mourning. Many Catholics, like myself, have experienced a sort of grief and mourning at what seemed to be abandonment; however, the emotions are different to those which would have followed the death of the Holy Father. We have, in effect, been given "permission" to discuss the candidates for Peter's Chair. Technically, any single, baptised Catholic man could be elected Pope. In reality it is highly unlikely that the man won't be a cardinal. There are 117 cardinals who will be eligible to vote. 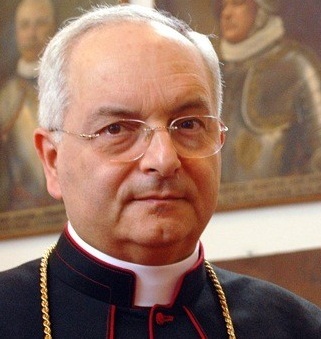 The Vatican website names 118 cardinal-electors, but it seems that, since the Holy Father's abdication takes place on 28th February, Lubomyr Cardinal Husar (whose 80th birthday occurs two days earlier) will be ineligible to vote. Checking out the names on the Catholic blogosphere has made me draw only one conclusion: the field is really wide open, and it's anyone's guess. The inimitable Fr. Z seems to be keeping pretty quiet, though he has been looking at the cardinals' qualifications. Fr. Finigan won't make any predictions, though he has indicated his personal preference would be Mauro Cardinal Piacenza. At the moment, Peter Cardinal Turkson is favourite at 5/2. Presumably this is because of the excitement about a possible black pope... disregarding the fact that a few of the popes in the past have presumably been black (think about where they came from!) But the old saying goes "He who enters the Conclave as Pope leaves as Cardinal." HE Mauro Piacenza is being quoted at 40/1. Cardinal Burke is given odds of 80/1. Interestingly, Cardinal O'Brien from Scotland is at 66/1. PaddyPower even has a tongue-in-cheek rationale for predicting the next pontiff. One shouldn't pay too much attention to the bookies' favourites, however. Richard Dawkins is given odds of 666/1. I'd have said that hell would freeze over sooner! The Blackfen Faith Group has been planning a trip to the National Gallery to see a small selection of Christian art. Hearing about some of the pictures reminded me of my favourite: Christ before the High Priest by Gerrit van Honthorst. I'd read in the Gospel accounts how Christ hadn't answered Caiaphas, the High Priest, after he had been betrayed by Judas and captured in the Garden of Gethsemane. I hadn't given much consideration to the fact that Jesus was silent in the face of the false accusations. Looking at the picture, I could suddenly see that Christ's silence radiates power. 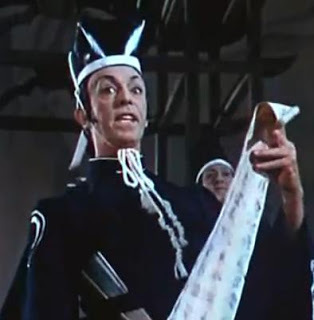 Caiaphas is supposedly the one in charge by virtue of his office, but Christ's silence appears to make him uncomfortable, challenging him to recognise that the accusations are false. I get the feeling that, the longer Christ stands there, saying nothing, the more pricked Caiaphas' conscience becomes, the angrier he gets, and the more determined he becomes to rid himself of this man who dares to challenge his authority. And Jesus stands there, in silence. This is also, I think, the true depiction of meekness: we have been conditioned to think of meekness as synonymous with weakness and lack of spirit. 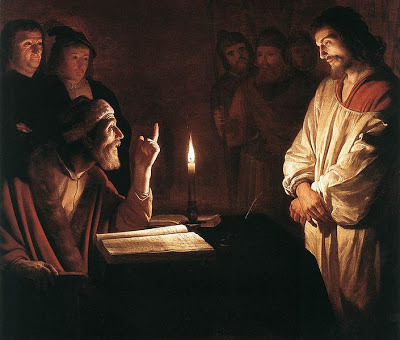 On the contrary, true meekness involves self-mastery and strength of character - something exemplified by Van Honthorst's masterpiece. Back in 2009, a version of the "little list" appeared on The Monstrous Regiment of Women. It was rather good, and I promptly snaffled the text and posted it, giving credit where it was due, of course. 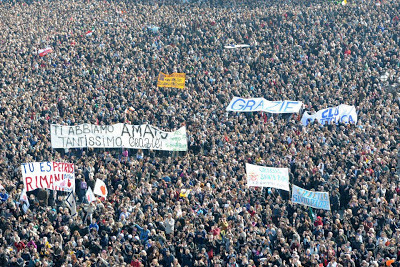 If, as some of the mainstream media would have us believe, Pope Benedict XVI was sooooo very unpopular, and he failed to make the Church relevant by embracing changing attitudes, then how is it that more than 150,000 people turned up for what is, effectively, nothing more than a short talk on a Sunday lunchtime...?